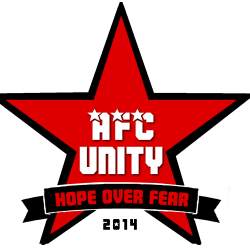 AFC Unity is unique in so much as it’s one of the few of its kind that was only ever specifically set up for women. We’re not a major men’s club with women as an afterthought, nor do we adopt a system like a military camp; our primary focus is engaging women in the sport and making sure it is an experience that is, first and foremost, enjoyable. But what makes it an “alternative football club”? Many terms are thrown around liberally these days, but I think what makes us different is our ethos; our commitment to social justice and particularly by focusing on engaging women in the game whether they’re experienced players or have never kicked a ball before – we can offer something for everyone. 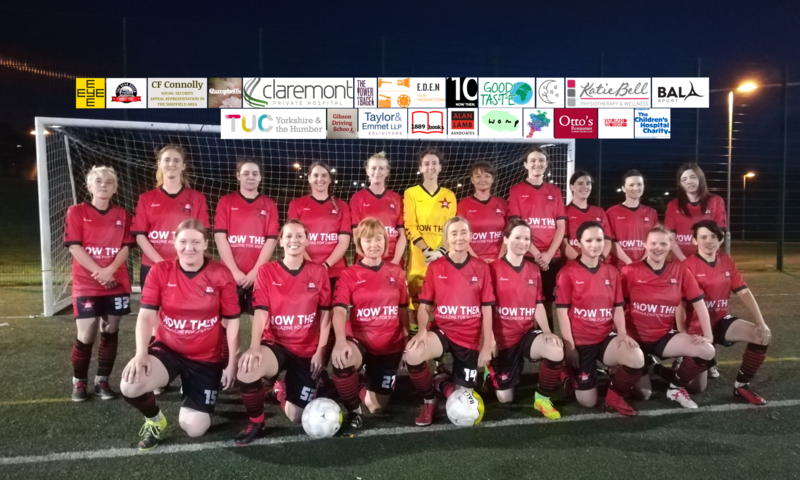 We’ve also adopted a collaborative approach, where we enjoy networking and working with other clubs, and we try to set a positive example at our level, because we see value in women’s football at grassroots – at first, when we established our rather unique brand, and used logos, match reports, and social media promotion, others scoffed at it…before long, many of them were doing it themselves, and that makes us very proud. We feel there is merit in all football, regardless of level, and we should be proud of our players, our teams, and our league, and do our best to work together to promote what we do, and build an audience for it. Where we want to expand, though, is into community projects to meet our aims, by tackling misconceptions and opposing oppression, and this is why we just incorporated as a non-profit limited company; we want to do good away from the field, as well, so we’re far more than just about playing football. Of course, the football is important to us, too. We had our first season where on the field, we absolutely exceeded expectations. We started off hurriedly putting a team together to start the season, and admittedly that involved signing players that wouldn’t have been given a chance with other clubs – and, as we found out, for good reason, because one or two characters gave us headaches and actively disrupted the positive ethos we valued, and we paid the price for that, and won’t let it happen again. It’s interesting, because as you look through the results and the match reports, you can see where after the opening result, we stabilised, and had a good run, before we let people play alongside their friends in certain positions more and more, and sacrificed results for it, and in turn lost some collective morale – so this exemplified why it’s important to play for the good of the team as a whole, and once I made that point, you can see how the holiday period marked a turning point of getting results, until the end of the season demonstrated the effects of the negative influences I mentioned. That’s not how it ought to be – it’s not supposed to feel like a job, for anyone involved; it’s supposed to feel like fun, and as manager and co-founder I definitely reserve the right to make sure it’s fun for me, too, and not just a playground for egos or cliques often found in teams, and I certainly won’t tolerate bullies in my squad, and that’s what makes us a positive environment that’s safe for different types of people to enjoy. We had a good season on the pitch, but that’s not the be-all, end-all for me. I’ve been reminded I ought to be more actively involved in training sessions, and beyond my team selections and formations and choice of themes for training, while I’ve wanted more of my fingerprints on the technical aspects, I’ve wanted to wait to feel qualified to do so, and now I feel like I am. I always say, you can’t have rights without responsibilities, or responsibilities without rights, and I’ll happily take the flak again in future, so long as I have final say as well. I’ve had some fantastic and enthusiastic coaches putting hundreds of voluntary hours in – at risk of too many voices jazzing players with science! – and I relish the opportunity to take sole responsibility of the team’s finer points going forward from this point. Jonny Hodgson provided infectious enthusiasm and incredible commitment, while Olivia Murray transitioned from injured player to coach phenomenally fast. Both helped me to no end and for their time I am very grateful. I have no doubt about wanting to keep them involved in the club, in varied, dynamic and rewarding roles to put them in prominent positions as thanks for their hard work. Rosh, our resident sports psychologist, has also been an invaluable influence on the club, from the players, to the coaches and myself, in what has been at times a challenging first season. My co-founder and captain Jane Watkinson grew into her role and became more comfortable leading the team on the pitch while moving from central midfield into a lethal goalscoring position, and helped keep me strong when I was given numerous headaches! Lucy Strutt was uncomplicated, all business, and surged her way to 19 goals for us with her endurance, speed, and power unmatched at this level. Shanie Griffith was the unsung hero of the season with her consistency, incredible ball control and passing ability putting her in the lead for assists while putting her head down and getting on with it all. Before her injury, veteran defender Sarah Richards provided the well-timed tough tackling I enjoy and was a positive influence on the team by carrying herself in an exemplary fashion. Sophie Thomas was a revelation in developing from a modest full-back to a determined central defender sweeping up any mess at the back, and absolutely on fire by the end of the season. Sophie Mills has been at her best when we’ve played our passing game, while also being a sneaky poacher of goals, with a maturity beyond her years. But there are others who deserve mention, too, despite not being on the pitch all season. Young Chloe Burditt demonstrated the kind of patience and camaraderie most managers can only wish for in a player, not necessarily getting a great deal of game time at first but stuck at it and is now on the verge of developing into a really good player with years ahead of her. Kim Best came in as goalkeeper and was just a breath of fresh air with her ability to get our ethos and put in so much effort while keeping a smile on her face. It goes without saying that Chloe Rodgers, who played at a high level, provided top quality play on the pitch after joining us later in the season. Jodie Spillings stole the spot for most improved player by the end of the season when she transitioned from right-back to right midfield, and is an example of what can happen when someone who’s never played competitive football before starts at an intermediate training session, bides their time, keeps training, trials with the first team, breaks in, and eventually earns a regular place in the team simply by doing all the right things – from positivity, to determination, patience and improvement. Last but not least, Charlotte Marshall volunteered for us, before signing with us from Second Division Socrates, and aside from her amazing playing ability, has set an example for what Jane and myself want to see from players, in her pro-active support and passion for our values, her respect, and her dedication to the organisation, having been set to join the Board of Directors at the age of 20. There were other players we had, yet left the team due to travel or other endeavours, like Chessy Hollingdale, Lena Reitzle, and Sandy Yere, who were an absolute pleasure to have in the team with their grasping of the ethos and their positive contributions, not just as excellent players, but as personalities as well. Of course I’ll have my own opinions, and I have my own ideas about what I want to see from players, but I happen to be the manager at the moment, so there you go! There will be others I’ve forgotten too, I’m sure, but generally, this first season has been an opportunity to meet people who have set an example and acted as positive role models for young women with their performances on the field and their upholding of our “integrity” motto. That’s what matters to me. Who knows if any of the aforementioned players will opt to re-trial for us – after June 1st, they’re all free agents I believe, and I wouldn’t be surprised if several are even approached by other clubs. I’d be proud to say they were once my players. So going forward, what are we looking for? Firstly, you have to want to be a “red star” – to pull on that shirt with pride. It’s really important to have players who want to play for an alternative football club and “buy into” its values – which means we not only play a positive part of the community, and value the Respect code, and fair play, but also offer an environment of structure and discipline that when followed ensures a safe, enjoyable experience for all involved; it’s about the collective good rather than individuals. Teams play together and win and lose together, rather than a missed shot or a goal scored or a tackle failed or a shot fumbled – the only sole responsibility of any individual is with me, not my players; I’ll take the flak, and maybe even sometimes some praise, but you can always count on the criticism! And that’s just fine with me if I’m getting the rights alongside the responsibility. As a team, you have to be clear about your values. For us, this is about playing with positivity so that the results take care of themselves, rather than “winning at any cost,” setting a good example with the way we rise above negativity – in the way we treat officials, opponents, and our own teammates, and it means trusting the directors and leaders in the club to steer the ship as part of a Business and Development Plan we now have in place. I am convinced that – though we might not be so lucky with the results in 2015/16 – we will have a more enjoyable environment for players, and we have systems in place, with qualified personnel, where we can do our best to ensure that. 4. Ability – on the ball; dribbling, passing, shooting, tackling, heading, throwing, blocking, etc. In turn, we can promise players an environment where a safe, friendly, fun experience is paramount, where they will improve fitness and confidence, develop, and see their commitment to AFC Unity is returned to them, because we want to be dedicated to ensuring our players – and everyone involved with the organisation, from volunteers to directors – all have positive stories to tell about us. We have ambitions, as an alternative football club for women, to grow as a team and as an organisation, and we are seeking people who are excited to be a part of that. We want AFC Unity to set a positive example for women, by women, as women and as players. We want to encourage sporting behaviour, fair play, and integrity on and off the playing field, where sport doesn’t have to be just about competition, but can bring people together, and help influence positive change in the community, too. Actively opposing sexism, homophobia, racism, Islamophobia, disableism and so forth is a nice public relations stunt for many to jump through hoops, but for us, it’s in the very culture of our club. If you’re interested in joining our women’s football revolution, get in touch.